As we head toward the November 6 election, you can't miss the vitriol boiling over in public debate. Best to shrink government and then drown it in a bathtub, say anti-tax crusaders. The implications for our water systems are hard to miss. Throwing out that bath water would mean under-investing in infrastructure, losing out on essential financing, compromising public health regulations and discharging public servants charged with keeping our water supply and watersheds healthy. Post-Sandy, New York City is awash with problems, but in most cases drinking water quality is not one of them. 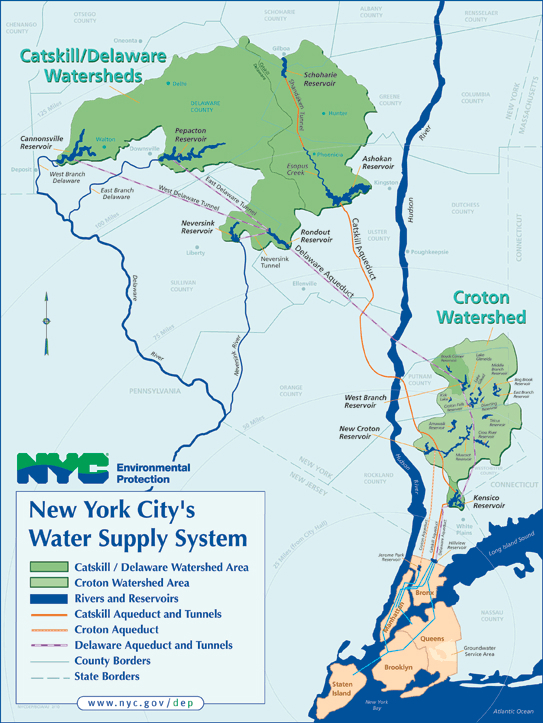 "The genius of the New York City water supply is that we have ample reservoirs located away from the city that are not groundwater based," says Dan Kass, the deputy commissioner for environmental health at the New York City Department of Health and Mental Hygiene. The water flows downhill so no electricity is needed to pump it into the city. Many buildings store water in tanks on their roofs; gravity push it through pipes. While boil orders are in place for numerous towns and cities, many New Yorkers can drink from the tap. The anti-government activists suggest privatizing water. But that's been tried many places from Atlanta to Bolivia, often with disastrous results. In fact, Paris, France is leading a new counter-trend towards remunicipalizing its water services. Beginning in the 1830s, the City of New York created a water system generally considered to have no equal in the world. Generations of city leaders chose to go far north and west of the City, to find rural environments that would provide pure, pristine water. But in the 1980s, as the economics of industrialized agriculture began to undermine the economic vitality of the small family farms that dotted the Catskill mountains, things began to change. Catskill farmers, in a desperate attempt to remain economically viable, began industrializing their own farm operations. Nutrient use increased, erosion accelerated, and pathogen contamination began to grow. Farmers also began selling off the forested portions of their land for environmentally damaging exurban development. By the end of the 1980s, public health specialists were publicly stating the City would have to substantially increase the treatment of its drinking water source. The costs for the advanced treatment were estimated to be $4 billion to build and $200 million annually to operate. This would double the cost for water in New York City, with major adverse impacts on low-income families. Thus, when Appleton became Commissioner of the New York City Department of Environmental Protection and Director of the New York City Water and Sewer system in early 1990, determining if there was any alternative to this was at the top of a very crowded agenda. However, unlike nearly the entire American water industry and its regulators, both of which were dominated by civil and public health engineers who thought almost exclusively in facility construction terms to solve water quality problems, Appleton's background was in management reform, public finance and environmental policy, particularly land use. Appleton was experienced in addressing issues from an integrative, multi-partner, problem-solving perspective. He and his new management team were quickly convinced that allowing Catskill drinking water purity to deteriorate and then spending massive sums to clean it up was not the ideal option. The team's philosophy was that a good environment will produce good water. And that made investing in the environment a smart and profitable investment for New York City. It took 18 months of mutual work between the city and the the Catskill farming community but, in the end, using concepts that have now come to be called ecosystem services, an innovative and far reaching agreement was crafted. Operationally, the question became what environmental investments should the city make. Some, such as adding to the publicly held land in the watershed -- particularly critical lands threatened by development -- along with stream corridor restorations and better stewardship of city owned lands were obvious. But that did not answer how to control non-point source pollution on privately held farmlands and other rural landscapes. The city began to organize an unprecedented program of regulatory enforcement against non-point source pollution runoffs in its watersheds. Some farmers and other rural landowners reacted angrily. But with the city's support, the Catskill farmers created a program they called "Whole Farm Planning," a title designed to capture the fact that it incorporated environmental planning into the business strategy of the farm -- a pollution control plan was developed for each farm, by the farmer and local farm and agricultural experts. To ensure pollution control efforts would reach critical mass, the program set a goal of obtaining the participation rate of 85 percent of Catskill farmers within five years. Thus, while the program was voluntary for any individual farmer, the Catskill farm community as a whole was committed to reach a goal that would ensure the city met its pollution reduction objectives. After five years, 93 percent of all Catskill farmers were full program participants. • The program was wildly popular with the public and helped build strong urban support for future watershed protection efforts by New York City. On a broader scale, the Catskill program spurred watershed protection and environmentally-friendly farm programs throughout the United States and catalyzed interest in non-traditional facility construction approaches of the U.S. water industry. Ecosystem service payment programs like the one used in New York are a way of capturing the environmental profits from the services rural ecosystems provide urban areas and then funneling those profits back into the rural landscapes and the rural communities that provide them, creating a righteous cycle of mutually supportive economic and ecological investments between urban and rural areas, leading to a more sustainable future for both. The importance of these payments for environmental services (PES) to the future of rural landscapes in particular cannot be overstated. All over the world, rural landscapes are being transformed at a rate that has no historic or economic parallel. PES payments can stabilize rural land use at a more balanced point by making environmental stewardship a new source of economic wealth for rural populations. The list of water related ecosystem services is almost endless. Water utilities need to go beyond deployment of their traditional engineering skills and pioneer innovative financial arrangements with upstream residents, as New York City did, to take full advantage of these potentials. The New York City example offers revealing lessons about how to preserve the integrity of our water systems in the age of superstorms. Investments in innovative public water systems are a top priority, not their abandonment. Consider your next glass of drinking water - and where it comes from -- when you vote this Tuesday. Water citizenship means exercising your right to vote for safe water. Daniel Moss, coordinator of Our Water Commons, an On the Commons project. 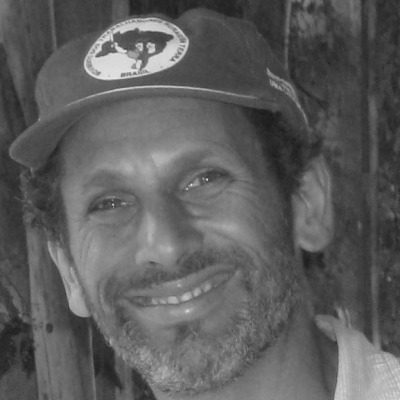 He writes regularly about water issues around the world.